"This festive cocktail is almost too cute to drink… Almost!" Pour Baileys into a rocks glass. Then, use the back of a spoon to layer in the chilled espresso and vodka. 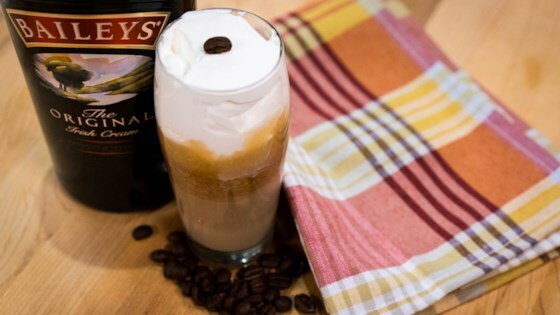 Top with whipped cream and espresso beans for garnish. A delicious drink that will add some pep to your step. We loved it!